If you have an inflexible agenda, and only want to focus on one thing like a past-life experience or relationship advice, you are likely not going to get the most out of your experience. When a gifted psychic puts their skills to work for you, they don’t dictate what spirits will move them or what information you will be best served by. Think of your psychic as a conduit. It may be that the information they are delivering is what you need to know, even if it isn’t what you want to know. If you are working with someone you trust, let them guide you through the process. That’s essentially what a good psychic is, a guide. Let them do most of the talking. Don’t go off on tangents, insist on sharing your life story, or create a lot of drama. Those things will just frustrate a good psychic and distract them from what they should be focusing on. If you want to interact with loved ones who have passed away, you’ll need to make sure that the person you are dealing with is a medium. Not all psychics are mediums. The gift to contact those that have passed is a special skill that only a few possess. 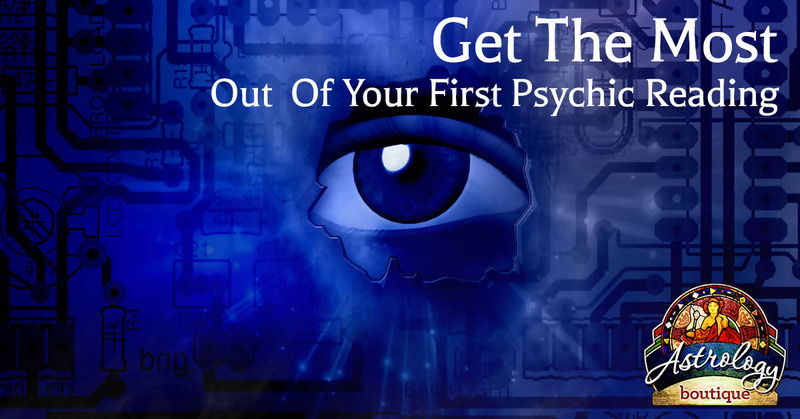 If you are seeing a psychic for the first time and something just doesn’t feel right, you should terminate your session. There are times when a good psychic has trouble connecting with a particular individual for reasons beyond anyone’s understanding. But there are people who claim to have abilities that they don’t. If you are doing most of the talking, or feel like what you are hearing is not relevant to you personally, find someone new to work with. Alternatively, all mediums are psychics. So, if you are going into the experience with an open mind, and are willing to accept whatever comes, a medium is a good choice. Carolyn is an experienced and gifted medium and psychic. She’s also an expert astrologer. She’s the Chicagoland area’s most well-respected practitioner. Give her a call today.